Fences were always an important part of every house, and their various designs revealed the artistic taste of a host, but it was during the Victorian era when the popularity of wooden fences skyrocketed. 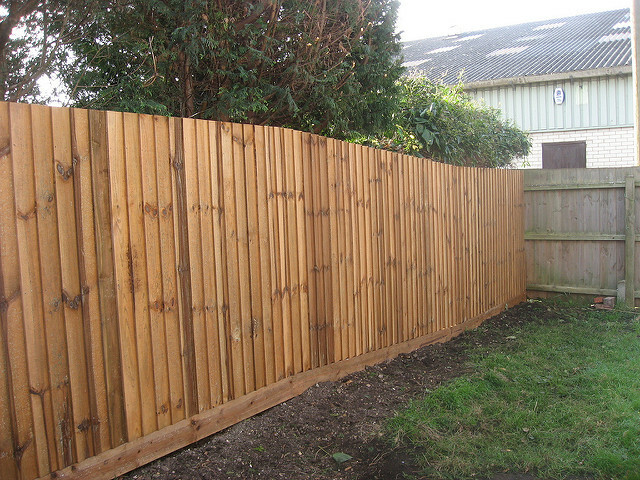 However, fence staining couldn’t be introduced until the mass-production of the necessary chemicals. 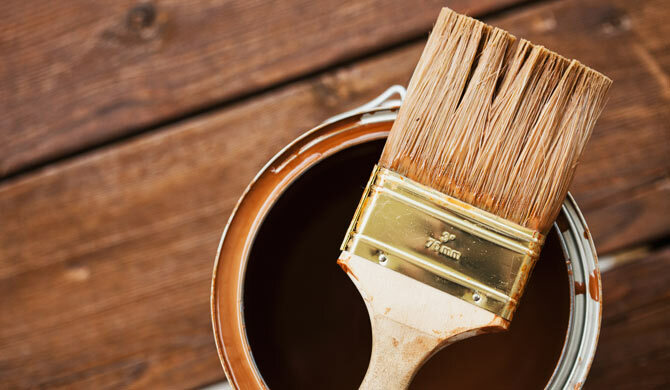 The general chemical production boomed after the Industrial Revolution in the mid-nineteenth century, but the wider use of fence stain didn’t start until the last century when it slowly replaced regular painting as the most commonly used method for maintaining wood fences. Wood stain usually contains colorants which are suspended or dissolved in a solvent (which is typically called a “vehicle”, for when it is suspended, it is not actually a true solvent). Dyes or pigments are generally used as colorants, and the vehicle is, in most cases, alcohol, water, a finishing agent (such as varnish or polyurethane) or a petroleum distillate. Stains that predominantly contain dye are called transparent, and the ones that consist mostly of pigment are opaque or solid. The differences in ingredients determine the type of wood it will color – dyes will color more sensitive and finely grained woods (like maple), for they have pores which are too tiny for the pigments. Therefore, pigment colorants will generally contain a certain quantity of binder, which helps it to attach to the wood quickly (one of the most common ones is linseed oil). Modern commercial production made it possible for both pigments and dyes to be present in most of today’s stains, in different proportions to one another, depending on the color effect we want to get. Furthermore, the time a certain stain is left on the wood will determine the depth of coloration – the longer the exposure, the deeper the color, in most cases. It is also important to notice that different types of stain will produce different effects on the wood. Transparent stains tend to highlight the wood grain (exactly because they are transparent), whereas the ones we call solid will effectively obscure it (being similar to regular paint). The depth of color with pigment stains depends almost exclusively on the wood density. The wood with larger pores, such as pine, will always generate more depth. As for the more modern history of fence stain, there are also some innovations, one of the most popular being gel stains. This late-20th-century invention is a high-viscosity liquid which doesn’t “flow”, which allows the application control to be much better (especially when the wood lies vertically), without the danger of wasting stain by spilling most of it, as it was usually happening with the traditional stains. However, this property restrains its penetrating capacity, as it is thixotropic. Whichever form of stain you decide to use, it will give your fence the new, shiny look, and make it look newer and better. Choose your colors wisely and start staining.